If you are about to start creating an eLearning course, don't just read this article and move on. Make sure you answer each of these questions so that you have a clear idea of the direction you want your course to take. The more you understand the course you are about to create the better chances it will be a successful one. That your efforts are measurable! 1) What problem are you trying to solve? Believe it or not, many eLearning designers forget to identify and communicate the problem the course intents to solve. Invest time into making the problem and the solution measurable and straightforward before starting to design your eLearning course. When a clear objective does not back a request, a team can often find themselves running into design recommendations that will be runarounds to what the business and its employees need. Each application needs to be broken down to include the issue in layman's term. This background information will save your team much fancy, but useless designs. Have you ever been introduced to someone that you’ve heard of only to be blown away but it not being who you expected? This miscalculation happens, and it’s important to put a face to a name, or an audience to an issue. Create learner profiles or representatives of the kinds of learners that will be interacting with your content. Take a moment to envision the target audience of your eLearning course. Do some research! Is this project for someone younger or older? Is it mixed? Are they tech savvy? Are employees new or do they have experience? Have they been given any training on this information before? Was there feedback? Is this being used? These factors should influence how content is delivered. 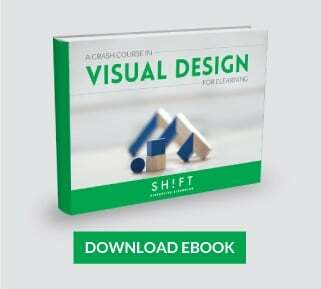 Adjust details to guide your eLearning design. Additionally, how and where are the problems showing up on your audience? For instance, if it is a customer service process, where are these delays in service arising? You can use the following questions to locate faulty procedures. What current sources do they have to address concerns/questions? What/where could help be provided to help? It’s here where you have to connect with your employees and how you can provide them with the help they need to complete tasks with dedication and confidence. 3) What does the audience think about taking this training? At some point in our lives, we have all been asked to teach someone something. Perhaps, a younger sibling or a summer intern? It’s not an easy to explain something to someone who doesn’t want to learn. The truth is that getting your learner to show up receptive is half the battle. Humans are more inclined to do the tedious, boring stuff if we understand the benefits, whether they are short-term or long-term. It’s crucial for you to communicate the benefits and advances that will come as a result of course training. Nobody wants to go to the DMV or take driving courses, but we all do because the benefit is clear. Independence! Your team can create the most fun, most interactive training in the world, but if what “they get out of it” isn’t clear, they may not even get to the middle of the course. So whatever the audience thinks about all your course, make sure you work on changing their minds to a positive attitude. 4) What do you expect to change after the training? After your learners take your eLearning course, what do you want them to know or do? What is the behavioral change that this training can bring about? Ask yourself how to connect this final result to your learner’s goals and challenge to communicate the benefits for both parties. 5) Why aren't your learners already doing what you need to change? Have you named your roadblock? So you know what you want from your audience. You know what they want/need from you. What is the hold-up? This barrier should be quite apparent to you and your team. Is it a motivational issue? Is it a managerial issue? Find the issue and fix it. Keep it in mind as you advance in your eLearning course design. This roadblock, after all, is the reason you and your team haven’t been able to see progress. 6) What is "Needed to Know" to perform the desired change? It’s essential for you to understand what knowledge is required to complete the desired changes you expect to see in your audience. We want to avoid overwhelming the learner with mental activity, so its key you cut the fluff. Select the knowledge that they “need to know” to perform well and complete their tasks. Every screen should have a “real-world” purpose, and it should be evident. 7) What if this training is not created? What are the risks? What if you were to decide not to do this training? Putting the shock aside, try to get your team to answer. This answer will give depth to the initial question regarding the real issue. Pushing the envelope on the training will get the team to focus on the real objective and the hopes of the impact that it can have on employees and the business. 8) What type of course are you creating? There are two kinds of eLearning content: Informational content is merely passing on information. 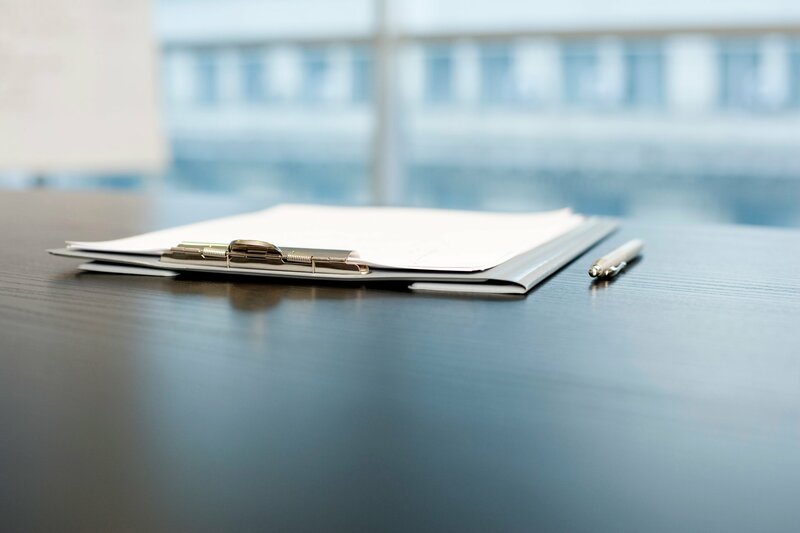 An example of this can be providing a sales team with legislative updates. The second is content that is meant to impact behavior. This information is intended to transform behaviors for a long term impact. Before you start designing, decide what type of eLearning content are you going to create. You might even want to combine the two of them. Getting this clear from the beginning will also help you determine how you will measure success. 9) What features can encourage learners to practice what they are learning? Providing learners with opportunities to practice what they are learning, test out their skills, and compete with others can be rewarding, and addicting! For instance, setting up a community and adding interactive games throughout the eLearning experience keeps the learners engaged and invested to complete it. There are many interactions that your team can consider to make the course more engaging like revealing icons, timeline, showing progress, drag and drop games, or comparing progress with other peers. Make sure you outline this needs and desires before getting started! 10) How will you measure the success of your course? Much like a story, good writing shows with the end is coherent to the beginning. If at the start of your design adventure, you established what the issue was and how it can be solved, your team can be planning how you will measure the success of the course. Was there a change in performance? How long did it take to happen? Is there notable evidence of knowledge transfer, improvement of skills and/or increased confidence or knowledge about the topic? Did employees discuss or share the course amongst themselves? Was there buzz? Completion course rates and time to complete the course: Completion rate or passing scores are a great indicator, but you can go beyond that. Evaluate if learners are taking too long to complete the course. That may be a sign that the course is either too difficult, or too easy. Do You Know How Successful Your eLearning Program Really Is? 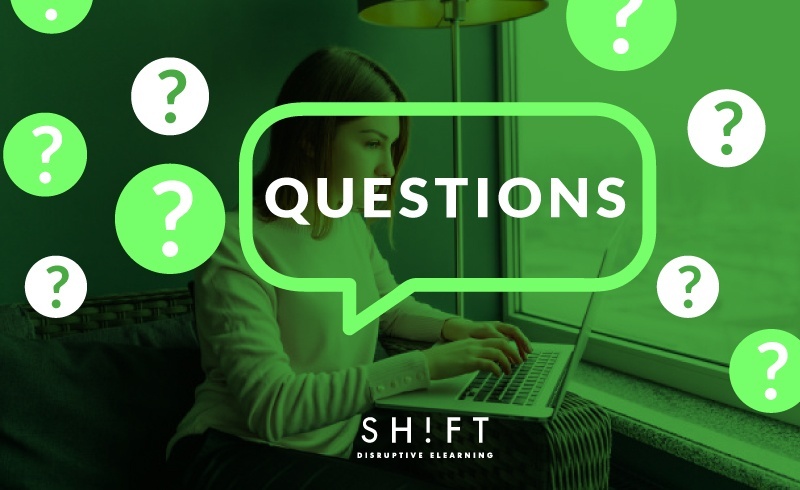 Experience has taught instructional designers that knowing the answers to these questions paves a smoother and steadier road start to creating eLearning courses. Mostly, when the options and features get overwhelming, the answers to these questions will have served as guidelines for refocusing. Remember the desired outcome you set out to achieve. It was a simple problem that required your attention. Use these questions above to build a bridge (your course) to get your team where they need to be!